Investing for true differentiation and market advantage. We partner with your organization to provide breakaway strategies, and execute them with a world-class delivery platform — winning requires both. Start with the right strategy and execute on it with a flexible and comprehensive platform. We identify key areas where the most opportunity exists in your market, focusing on Medicare, Medicaid, and Commercial populations. Through our Growth Services Organization we provide a flexible and comprehensive platform to deliver results with the right combination of strategy, execution, and technology. supported by the right TECHNOLOGY. The design phase maps out the journey from your current state to the future state, and designs a solution that will enable your organization to take advantage of the most strategic opportunities in your market, prioritizing how they should be executed. 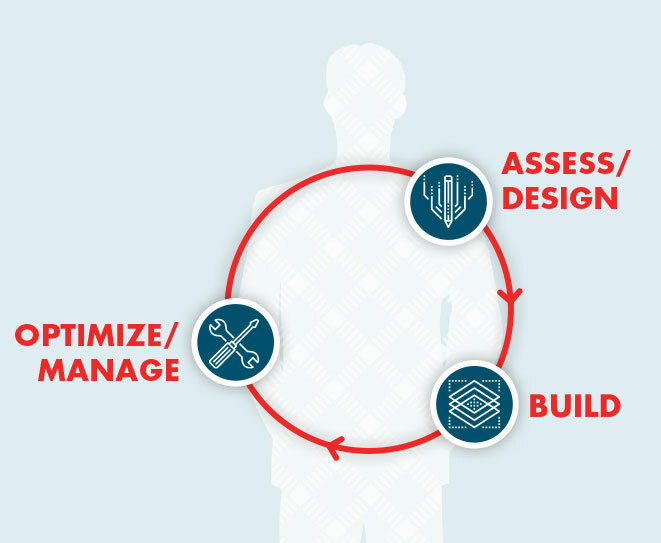 With a solid and mutually-aligned design in place, we build and implement using a proven approach. 100% accountable. With our goals and outcomes aligned we continually manage the solution and drive unmatched performance. Is your organization ready to have volume-based growth and value-based performance?